“Two mimosas and jazz music please!”, I blurted excitedly as I stepped into NOLA’s famous Court of Two Sisters Restaurant. It’s a known fact that most of the old houses in the French Quarter are characterized by big open courtyards. So having a Jazz Brunch Buffet in the Court of Two Sisters was beyond nostalgic. 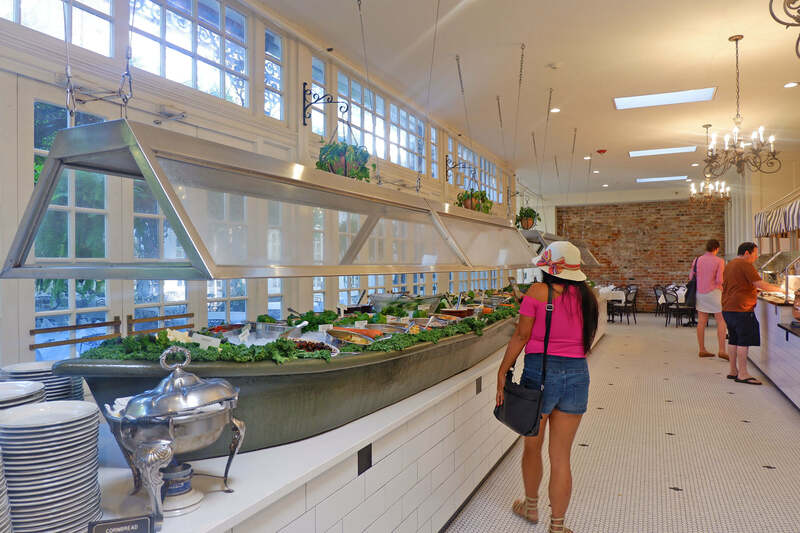 Here are 4 reasons why you should do the Court of Two Sisters Brunch Buffet the next time you’re in New Orleans. Located on Royal Street, the Court of Two Sisters exudes a classy, Parisian flamboyance all throughout the restaurant. 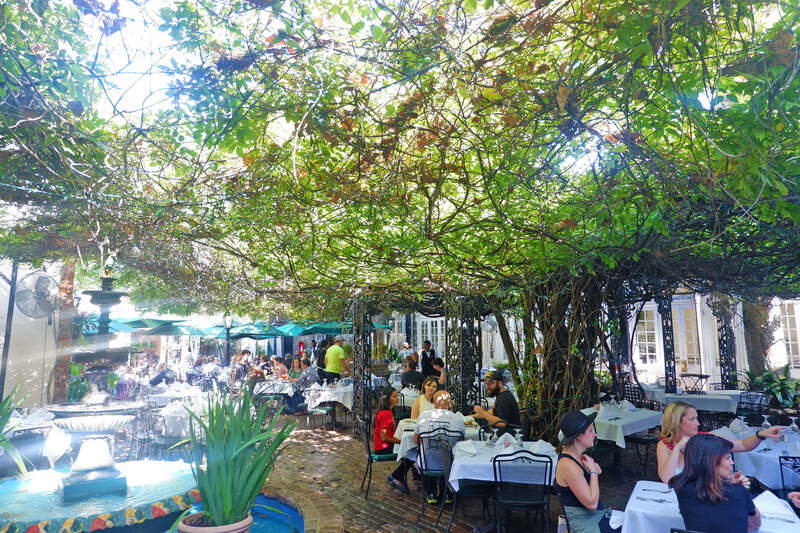 The main dining area is the courtyard where lush canopies abound paired with charming wrought iron seats. I also loved the sight of the Italian-inspired fountains while the live jazz band also played by the side in the courtyard. All this made our dining experience extra special and inviting. Now if outdoors isn’t your cup of tea (especially during colder seasons), you may also opt to dine indoors. Which was equally charming, filled with intricately-designed chandeliers and French-inspired decors. I’ve always enjoyed the thought of having brunch – it always feels fancy and dainty. Plus it also gives you the best of both worlds – breakfast and lunch! Not to mention, it can go on forever! Case in point, the Court of Two Sisters Brunch Buffet is offered daily from 9:00 AM to 3:00 PM. That’s 6 whole hours of eating, socializing, and whatnot. Well, we didn’t really do the whole nine yards time-wise. But we did enjoy most of the extensive food selection offered at the Court of Two Sisters. The Jazz Brunch Buffet offers over 60 food selections, ranging from traditional Creole food and international items. Our favorites would have to be the salad station, creole jambalaya and the omellete bar. We also enjoyed the cold station where an assortment of meats were available – shrimps, cold cuts, tuna, and more. For dessert, feast on their brownies, bread pudding, and the famous King’s Cake. Talk about value for money, indeed! Nothing says fancier than having sweet Jazz play in the background while you’re eating, right? 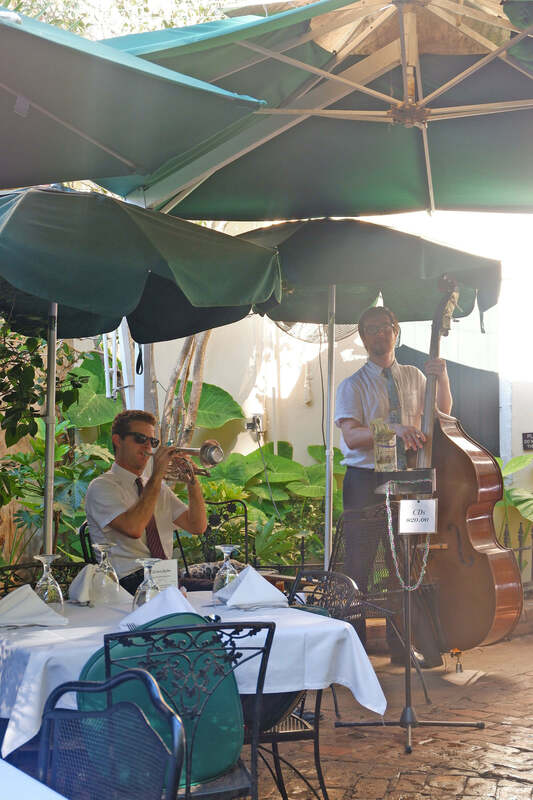 And while the live jazz band at the Court of Two Sisters was only a 3-man team, they played beautiful music all throughout brunch. Don’t worry though, the music isn’t overpowering so chit-chats over brunch are still good. (Very reminiscent of the New Orleans Jazz Tour we had with UA). Right as we entered the dining room, the waitress assigned to our table asked us for our preferred spot and served us coffee and tea. She then gave us a quick run through of the must-eats at the Court of Two Sisters Jazz Brunch Buffet. As we slowly built our appetite with more plates coming to our table, she gladly refilled our drinks and asked how we were doing. 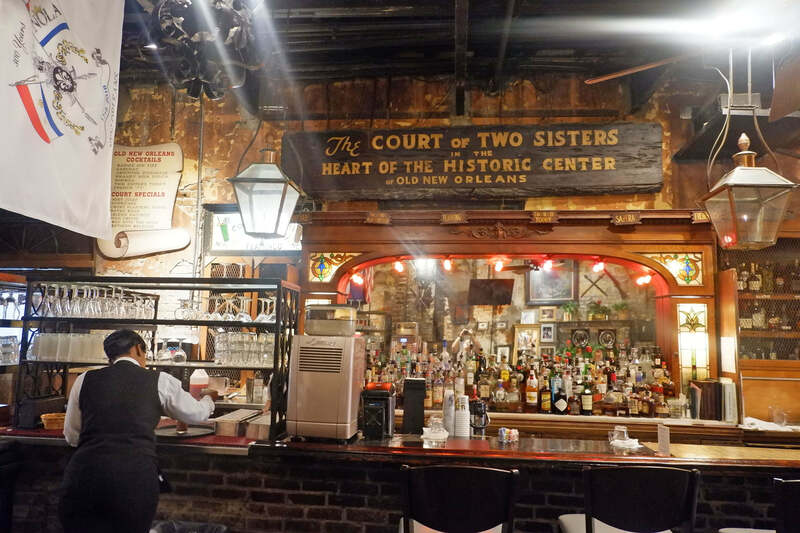 And as we ended our meal at the Court of Two Sisters, she thanked us for visiting and even gave us tips on what else to visit around the French Quarter. Nothing short of a 5 star service, if you ask me! Ready to book your Jazz Brunch Buffet at the Court of Two Sisters? Head on over to the Court of Two Sisters website for reservations. The restaurant is located right at the heart of the French Quarter, at 613 Royal St. New Orleans. Brunch for adults is priced at $ 30.00 while Creole a la Carte Dinner (Daily from 5:30 PM – 10:00 PM) ranges from $25.00 to $37.00 per main course.